Game 52 Atlanta Hawks v Phoenix Suns: Will Lin’s Reduced Minutes Continue? 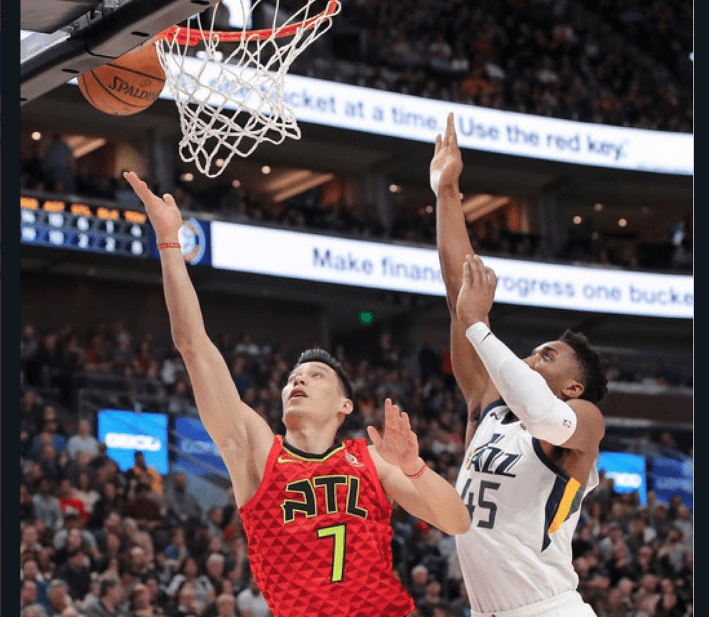 With 3 games left before the February 7 trade deadline, Jeremy Lin received an inexplicable 11 minutes of playing time in the Utah Jazz game. His season average is 20 minutes. The minutes were sporadic throughout 4 quarters (2.5, 3.5, 4, 1.5) and certainly did not allow any players to get into playing rhythm. Will it be a new pattern to reduce Lin’s minutes before he is traded or for the rest of the season with the Hawks. With a back-to-back game tonight, Lin fans can see if the pattern of low minutes would continue. 11 min game is not acceptable 😠 If Lin is not traded by Feb 7, his camp should negotiate a buyout. Playoff teams'll fight for his service. One day after a twitter poll started, 82% of 135 people voted for Lin’s agent to negotiate a buyout if he is not traded by Feb 7 and continue to get low 10-15 minutes which will hurt his Free Agency value in the summer of 2019. A buyout would allow Lin to play with hopefully playoff contenders who can use his skills and services in the playoff. A young team like Hawks would rather give playing minutes to young players for development, even if Lin is arguably the best player in the Hawks team. SacramentoBee reporter just affirms the Kings is still interested in JLin. Good sign? Kings would be my second choice for Lin to go to. They want to win and Lin can make a case for starting by playing his game. Winning on a non tanking team as well as his clutch end game can take the kings to the next level. I’m also hoping for longer minutes per stint instead of how Lp keeping pulling L;in out after 3-4 minutes of play. why don’t you like the Kings? Kings is #10 in the West, one spot behind the Lakers. As you said, while it might not be ideal, it still offers more chance to help a team to reach the playoff and shine to help his market value in summer 2019.
strong young guys who are already considered as stars or future stars. teams like Magic have borderline starters, thus giving Lin more minutes. I hope they will put Lin in! When did Jlin get a turnover? Lin saw an opening to the rim, just waltzed in for an easy layup. Lin 3pts/1ast/1reb in 4 min with 1-2 shooting so far. 8-min continuous stint in the 1st and 2nd quarter is better than yesterday. maybe that’s why the Hawks just made him available on the trading block. The Suns almost tied it. No Lin No win! Prince reminds me of Wesley Johnson who was drafted 4th by Mchale for the Timberwolves. He was a very good athlete but had very poor bball IQ. That sounds why Lin is so good with willing young players. He can provide the template for how each of them can learn to be good players with each of their own skill sets. It’s as if lin becomes the brain for the body of the team. That was a tremendous, confident pull-up 3 by Lin! Coach! Leave Collins with Lin there! The point is Lin is more likely to play more minute with the Magic than the Kings because the Kings’s guards are very strong and they are young. In Orlando, Lin wouldn’t compete against star guards like Fox and Hield and Bogdonovic. All true. But. They need a vet to put them over the top and make the playoffs. The young guys may do it, but a steady vet hand who won’t lose them leads when the bench comes in (and may increase it) is enough reason to get Jlin. Jlin is one of the best as getting the best out of his teammates. I don’t know if Clifford respects Jlin, but I think he does. Whether or not Cliff knows how to use Jlin is another question and one I would answer no. Clifford will play Lin by default…D.J Augustin is okay but not good enough to keep Lin from getting more than 20 minute per game. Just think about it, Augustin is averaging 12 points in 28 minutes…Lin is averaging 11 points in 20 minutes. Fox, the King PG is averaging 17 points in 31 minutes…Hield is averaging 20 points in 31 minutes. Bogdanovic is averaging 15 points in 28 minutes. Point is, I don’t see Lin’s minute improving with the Kings but I would rather him go play for the King than stay in Atlanta. The fight for the No1 Tanking. Trae making 4 shots in a row with back to back extended 3s. Goes to show if a team wants to prop up a fake star all they need is let them shoot as many as they want and they will eventually make them. No one will check how many Trae missed if Hawks get the win. People only remember the 4th quarter highlights. Same with Harden, Walker and all guards who played along side Lin. No need to for defense until they get serious about making playoffs. Meanwhile Lin wasted years in the NBA not being developed nor having the green light to shoot without worrying about defense or limited minutes. what i noticed. suns want to lose. no defense at all. hawks want trey to score so the doncic thing isnt embarrassing. when was the last time Lin got to play the entire 4Q? Lin might be stuck on this team after deadline. Great win. This proves that this team does not need Lin, no need for more mentoring. So please trade Lin. We say that about every Lin’s rival teammates and yet they are the ones who end up being all stars with crazy pts total due to long minutes and shot chucking. Bottomline NBA and fans don’t care just the highlights and pts. thats true but they never win championshps do they? I think so. Lin has done a wonderful job mentoring Trae; now the Hawks can do him a solid to trade him to a contender. Lin never mentored Trae, just going against Lin during practice and scrimmage would be enough for Trae and Heurter to copy him. Time will not reveal the truth, will only cover the truth. Once you are the chosen ones, you will succeed. Yup and Russell, Harden, Walker, and Lonzo Ball all says thanks. How many actually do?! Only two selected teams get to finals. Lin might not get one either. Lin’s goals are starter, all star, and championship. He’s not going to get all star without crazy long minutes and points, and even then he can get snubbed like Doncic with the 50% rigging. Yes he does! Walker plays 40mins per game and takes 30shotsfor 30pts! He’s a fake star through and through! It’s tough to decide who gets the longer green light, mins, and shot chucking Harden or Walker. It’s not like Lin’s being remembered either while being pushed off as bench player. It’s the MVPs and allstars who are talked about, Melo included. Cause Draymond kicked Lebron and got suspended. I remember. To be fair Draymond plays dirty and was also the one who clawed at Lebron’s eyes last finals. It was pay back for someone else trying to injure Thompson. Even if a team were trying to win they’d push Lin aside to not over shadow the star. If Lin’s not traded he needs a buyout. What we’re seeing is exactly what Lin would’ve gotten on Hornets for the entire season if MKG was healthy. Remember how Lin only got 10-13mins when MKG came back? From the way Lin is pushed aside they don’t need him. Hawks can hold their own in a weak conference. They just need a 5 game streak to have a legit chance at playoffs. Well, at least this is an improvement from last night when he got 11 minutes. Hm, Lakers to place on the waiver if Lin got bought out by Atlanta? but if Lin is bought out, Lin can decide whether he wants to sign with Lakers, right? Why is there such news? Do you think Lin might have asked for a buyout behind the scene? but Lin will have to play behind Ball AND Rondo, that is really a 3rd string pg…. I would like to think Lin would not want to join the Lakers. I am willing to contribute to his buy out if needed. Honestly not much but he’s a team player. And between Hawks tanking and Lakers running for a ring I’d choose the later. That is if Lonzo ball and Rondo will be gone for AD. Rondo is a better half court field general than JLin, and Lonzo is a probably a better at on ball ball pressure, but not sure who would be better at just keeping his man in front of him and out of paint in isolation when not having to fight through endless screens. Lin’s a better shooter than either, so my guess is that it would really would depend upon what Lebron needs next to him in any given game situation. to claim a player from waiver wire needs to have enough cap space to do so. basically no team has $13.7m cap space to claim Lin off waiver. He will clear waiver after 48 hours and becomes a UFA if he is really bought out. for Lin to sign with the Lakers, i would assume that Lakers have traded Ball and Rondo in the package as rumored for AD. Otherwise, I am not sure Lin would sign with them. Here are some other LA basketball writers. I scanned their twitter feeds from the last several days and didn’t see any mention of Jeremy. Every NBA player is playing for his next contract except Lin. Not sure Lin should go into that mess. I read this D. and a lot of the comments. Lots of stacking up Ledumb and Magic and the old vets against Walton. Fans are hot! Could say it was racial, like most everything is portrayed today, and maybe it is. But I withdraw my endorsement of Jlin to LAL. He would be perfect for Luke Walton’s team play concept but not for the others. He might get chewed up there by the vets who might totally ignore him. Add in the toxic james, the less-than-talented Magic as president and it is a bad scene. If I’m AD I am questioning the idea of joining james. Picking up those 3 vets, two of which have a reputation as malcontents and this is the result. This is a case of where Jlin would help LAL but it does nothing for him. Under my new guidance system of looking mainly at what team would benefit Jlin the most, the LAL are not on it. Now thinking buyout. Let TOR trade for Dedmon. Then TOR picks up Jlin w/o counting against cap or salary. Now TOR has Dedmon and Jlin and will be really dangerous. Jeanie Buss needs to clean house after the season. Keep the young guys, get rid of Ledumb, Magic, the agent guy. Keep Walton, get his input on new GM. If she screws this up again she is the west coast (the best coast) version of dumb Dolan, an entitled rich kid. Lin cheering for the New England Patriots for the SuperBowl? So trade or no trade? Thanks for the additional explanation of the waiver qualification. It’s awesome news if teams can’t claim him off the waiver list due to high cap space so Lin can make his choice. Yeah, Raptors would be better than the Lakers because the Finals showing can really help his contract values in the summer. I’m not sure; buyout is less likely than trade in the first place because Atlanta can get some picks. Some nice news from LA but not the Lakers: https://fansided.com/2019/01/29/los-angeles-clippers-race-nba-playoffs/ ATL could have taken this route. They have the players in Jlin, Dedmon, Bazemore, Len and even Carter. Trading for a couple of players and they could have been like the Clippers, in the playoffs based on the non-GSW model. Of course they couldn’t have featured 19 y.o TY but then TY would not have uttered his stupid comments about being better than Luka. And the fans and the sport would not have been “processed” to losing. I watched a whole Clippers game earlier this season, 1 of only 2 (other was TOR) and really liked their style of play. Jlin would fit in perfectly there, high percentage efficient BB, not relying on 3 pt shots. No stars but solid players and good coaching. Another good thing was Austin Rivers leaving. Thank you @brentyen:disqus for that heartfelt, sincere happy new year. When I was a kid my dad forbid be from taking red packets unless I handed them over to him so he could take the money inside put it in a fresh envelope and give it to someone else’s kid. So do the right thing and happy Chinese new year. Lin will pick his next team based on minutes and I seriously doubt Toronto has enough minutes to give Lin, specially with VanVleet and Lowry manning the PG position. Orlando is the favorite if Lin wants to play instead of spending a lot of time on the bench for Toronto. Happy Chinese New Year @psalm234:disqus , you do all the hard work while we just come here to waste bandwidth. Thank you. Happy Chinese New Year @kauaiblue:disqus. May our Lin be traded soon. A whole hog happy new year to all! They were never interested, if not Lin would’ve had a showcase game. they don’t need Lin..Curry is enough for the 15 minutes of back-up PG. Blessed Chinese New Year to those who celebrate! im also beginning to lose interest in watching games of the hawk simple for a reason that i cannot take the unfairness Jeremy;s been recieving right now. as much as i know that NBA is a business , i can’t understand still the persistent treatment and disregard..I am bias , i know but I just want to see fair opportunity to all players. Me too, I haven’t watch the last few games highlights simply because they are meaningless. To be fair, playees who might be traded are also getting extremely low 9-10 minutes including the veterans of the Lakers. Not as much this season if at all. Previously Lin would give out many advice and orders but not this time. He’s definitely smartened up including his outlook on taking more shots. Still though, got to admit that $13.7M takes some of the sting out. Lol… sure does… keep on mentoring! Thanks. It might be a speculation at this point. Being facetious? Maybe hold back because of trade? If not, too pessimistic! 🙁 Send positive vibes please! I see many of you are saying not motivated to watch even the Lin highlights. Come on guys, hang in there! Now is the time for MORE support, NOT less! How tough are we Lin fans if we bail so easily through the down times? The TRUTH. I am enjoying every minute of seeing Lin play. Good or bad stats. Still pump a fist when he knocks down great shots. Or blows by with a nice layup. Or connects with teammates for pretty assists. But this is different. How bad would it be if Lin couldn’t recover from last year. How bad would it be if he did decide to retire after considering it. Then it REALLY WOULD BE NO FUN. Well, at least you guys are still here to follow what’s going on. PROPS for that. Let’s see what happens in THREE more days! Health to you, and happiness to all the Lin fans! Hope to see Lin dominate in the New Year! Totally agreed with you and you are very supportive. Daryl Morey is the WORST. Sean Marks and Joe Tsai are very close second. Too bad I can’t curse here. lol. I see what you did there…..HaHa. I think those who are proponents of the Raptors are thinking that Lin is definite upgrade to VanVleet. That VanVleet would fall back to 3rd PG. Agree, please NOT Lakers. It’s a mess there now. And I can see where anyone not named LeBron or AD could be a scapegoat if the Lakers don’t make the playoffs, or lose games. The human savage animal is only separated within us by the skin of our teeth. It’s important for us to maintain faith, positive energies and prayers for Lin but watching these games just makes us sad and angry. I’m like some other posters don’t have the emotional strength to deal with it. The work Lin does goes way beyond the basketball court. And the true value of his work is in his interactions with real people around him…with every human being he touches. Lin’s Basketball career only exposes his Christian work for a much wider audience to see. How Lin handles his adversities inspires all of us to try to become better. To become better, it’s important that I don’t feed my mind with negativity. Caught up on the two low-minutes games. I was hoping that on the second night of B2B, that Lin would be getting more minutes. And he still might have, but TY went off in 4Q, so that was that…. Don’t understand why Len only got 18 mins either. Guess Pierce doesn’t believe in revenge games. Len has good post-skills, surprisingly. But, Lin gave him 3 fantastic passes last night that Len couldn’t finish. Wasted assists for Lin. He’s a 7’1″ 250 lb guy. Can’t he just overpower defenders, at the rim, even if they foul him? Hope to see Lin get some minutes, and a great game tomorrow. LAST GAME BEFORE TRADE DEADLINE. My guess is Lin minutes will remain low because trading deadline is in a few days. They’re be too scored of any injury to put him out there for extensive playing time. Your last paragraph. SO TRUE. Lin has already shown to us that he is not just defined by his basketball career. If tomorrow, Lin decides to retire, he would have accomplished FAR more than we ever thought possible on the basketball court. He would have already INSPIRED so many, from all over the world. And he will continue to prosper off the court. With his other business ventures. AND WITH HIS CONTINUAL PHILANTHROPY. However, the fact is. Lin IS still out there, still trying to overcome the many hurdles and injustices. He’s got the TOUGH job. But he’s still chasing his dream. Do I get angry? You bet! I rant and rave every day against the NBA. I curse out the Refs. I can’t wait to see Morey and Marks fail, even if it takes a few years. Yup, that is negative energy. Haha. Yet, after all that. After seeing him suffer such a catastrophic injury. To me, watching him still able to physically play, and still be an ACTIVE player on an NBA roster, it’s a joy. And until the day he does retire, I will continue to watch him play. Maybe it’s just an “addiction”…LOL. Oops, it took me some extra words. Guess brevity is NOT my strength. HaHa. One more post about Lin and the Hawks, although, hopefully it will be moot in the next few days. Peachtree Hoops writer cites Lin’s shooting splits percentages before and after Lin’s back strain. Using AVERAGES. Implying there is still something physically wrong with Lin. Okay, Jeff, way to go to lower Lin’s value. You want him traded or not? This is where I always say, stats must be put into context. Maybe Lin is banged up from taking those charges. But, only his 3 pt % has been up and down, and he hasn’t taken many. Dec. 18, win over Wizards. Dec. 21, win over Knicks. Dec. 26, loss vs Pacers. Jan. 6, win over Heat. Jan. 8, loss, but LINSANITY vs Raptors! Jan. 11, win over 76ers. 5 for 5 FTs. Jan. 23, win over Bulls. Let’s hope it’s to a good team! There aren’t too many left…..LOL. Similarly, many Orlando fan does’t view Lin as an upgrade to Augustin…They only look at Lin’s ppg but fails to notice Lin is playing less than 20 minutes a night. That was what I worried when I first read it. Can someone translate it what Lin tries to say this time? I will die if he does not he traded. This is what I will never forgive Traitor Joe, SM and KA. They could have traded Lin to a contender with a lessor return, but they dumped Lin to a tanking team. Is this how you treat your loyal player and your favorite athlete by only look out your own interest ??? Every minute Lin is wasted on Hawks bench, I hope their conscious condemn them. 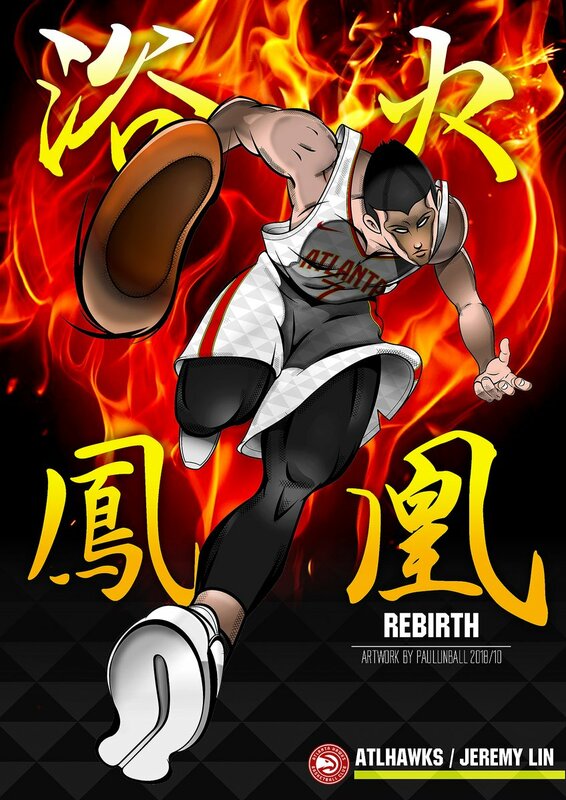 jlinfans.com is still very active if you read chinese. Lin breaking his body for tanking team in development mode and messes with his limited minutes made me scratch my head often: stubborn or dumb? What is the goal here? should take 18 M like others.. 13.7 is too little now. Happy 7th Year Anniversary, Linsanity!! Very nice of Knicks fans to remember the joy Linsanity brought. Seven years ago today, we were gifted Linsanity. It’s unfortunate that Lin’s back injury hurt his shooting stats. I believe Lin has taken fewer charges lately so he might have made proper adjustment, not to mess his back. Hopefully, the tweet on what Kobe said of not taking charges not to end up like Bird and Pippen who had messed-up back helped to influence JLin’s approach in taking charges from now on. To this day, 8 years later Mike D’antoni is the ONLY coach to see and know what the had and how to use it. That in itself is just amazing that only 1 person could see the skills of Jlin. And even he didn’t see its util the breakout, but once he did it was beautiful. well, to be fair dantoni turns austin river back to a player..so it’s not just lin. I already predicted that once dantoni became the coach of the rox, harden will be getting 40 and 15 .. as his system tends to inflate stats of PGs. I was right.. on the ppg part. well as much as I hated it, ATL was the only team who is giving them what they need and that they ask for lin…NO OTHER TEAM DID.. so they value him more. So you have to think about that. Again it’s business. no loyalty in business if it’s trading stuff.. loyalty is MONEY and what you can do for me. It’s good that ATL wants him.. it shows other teams see lin as a good asset. If atl didn’t want him.. yes he might be with the nets, and there will be conflict with dloblo. GM wants Dlo.. KA wants Lin. Owner hires the GM.. so guess hwo this politics will play out if KA didn’t really play Dlo. And no such thing as traitors. it’s business, not friendship..
IMHO it’s hard to say. I don’t think he knows 100% about possible trade or not but knows God wants him to trust Him no matter what. In the 1st paragraph, Lin talks about the need for DESPERATE longing for God, to allow God to work through him. Also, the focus on the prayer of gratitude/worship/prayer so he won’t be so reliant on his own understanding (talents/habits). And the 2nd paragraph focuses on being faithful to God to invest in 2-3 people that God put around him through evangelism or mentorship so they can grow spiritually. IMHO I believe Lin shares prayer requests to depend on God and be faithful with people that God has entrusted around him but at the same time, but continue to not focus on his own understanding since he doesn’t know if God wants him to stay or move. we don’t know whether Hawks were the ONLY team offered anything, there might be other teams, but Nets were heartless to Lin. We never know, do you?? Brent is the zen master of the one word haiku. Like Yoda he is! Agree! As a fan, very grateful that Lin is back. Just curious. Is the first site based in Taiwan, or here in US? LOL. I’m sure you will survive. Well if those fans think VanVleet or Augustin are good enough, then they can’t complain if they don’t get to postseason, or go far in postseason. They don’t realize NO LIN NO WIN. LOL. Okay, now I know. Thanks!